The two companies are allegedly sorting out a launch date and marketing. Still uncertain at this point is which first-party Roku products will be supported, though it's probable the demands of AirPlay 2 could limit it to the most recent generation. The technology should, however, show up on Roku-based TVs from vendors like TCL, Sharp, Hisense, Hitachi, Sanyo, and RCA, MacRumors said, citing an anonymous source. Roku's products have long supported Google Cast, which is functionally similar to AirPlay. Rumors that Roku was gunning for AirPlay 2 compatibility began in February, roughly a month after Vizio, LG, Samsung, and Sony announced plans for their TVs. 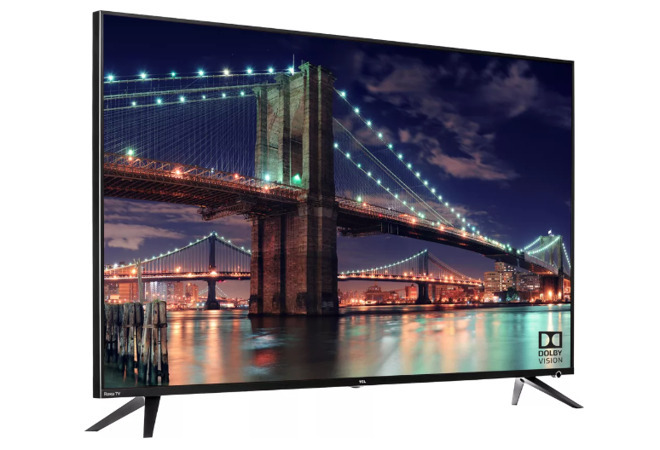 In some cases though only the latest sets from those brands are getting the technology, which could make Roku streamers the next best solution if people aren't willing to spend a minimum of $149 on an Apple TV or $179 on an Apple TV 4K. AirPlay 2 compatibility lets people push audio, video, and photos from Apple devices to their TVs. Users can also control power and inputs via the Apple Home app, and ask Siri to launch content through commands like "Play 'Stairway to Heaven' in the Living Room." This is great news. I have to Roku Ultras that I really like. This feature would make them even better. I love that "Stairway to Heaven" was the example used in the article. I'll be chuckling about that all morning. Thanks AI! The moment the CEO of Roku said they are an ad company, I literally swap all my Rokus for Apple TVs. They are pricier, but in general a better product. So this is for any Roku device, not just TVs equipped with Roku OS? Serious question: How does this benefit Apple? Do these companies pay a licensing fee for AirPlay? I feel like an AppleTV purchase is far more beneficial financially for Apple. Nowadays AppleTV is less desirable. I feel like Apple might be working on a huge AppleTV update that will make people want them again which is why they're giving away so much to 3rd parties now. CarPlay was in development specifically for 3rd parties. Apple TV allows AirPlay, always has. I'm asking why does making their hardware less desirable and helping 3rd parties with their tech benefit Apple? It dilutes lock-in in my opinion because now I can buy a Samsung TV instead of needing an Apple TV.